marital bless: In my heart . . . In my heart . . . 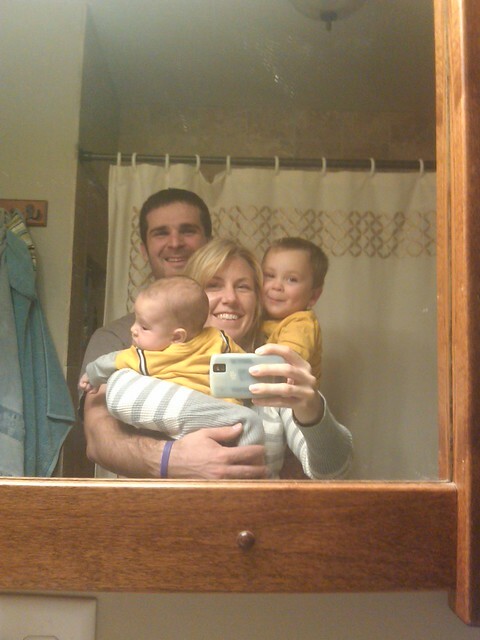 In our bathroom, wrapped up in a family hug. Thanking Isaac and Tony for the most amazing summer. Completely living in the moment of loving my family. This brought tears to my eyes. Hope you have had a good transition day as possible! I have been thinking of you!! aaaaand, now I'm crying. Hugs to you, mama. Just hang on to the thought of those sweet hugs/kisses you will get when you walk in that front door! Leah, that is just lovely :) You make me want to have kids TODAY. That is so sweet! You truly are blessed! I'm praying that your transition back to work goes well! Hope your first days back at work are going well. Thinking of you guys! When I say we're in trouble . . .